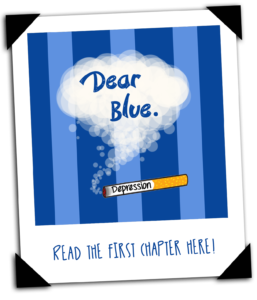 Dear Blue is a story about depression, suicide and a young Irish man, Cillian, learning how to survive his mental health issues with the help of an annoyingly peppy journalist. The pair embark upon a journey to cure Cillian of his depression and they seek to do it in a week. Big goals and high stakes, the most important of all… Cillian’s life.